Piedmont Clubtail Hylogomphus parvidens (Currie, 1917)Extirpated Synonyms: Gomphus parvidens. Piedmont Clubtail (Hylogomphus parvidens) is a southeastern member of the genus Hylogomphus. 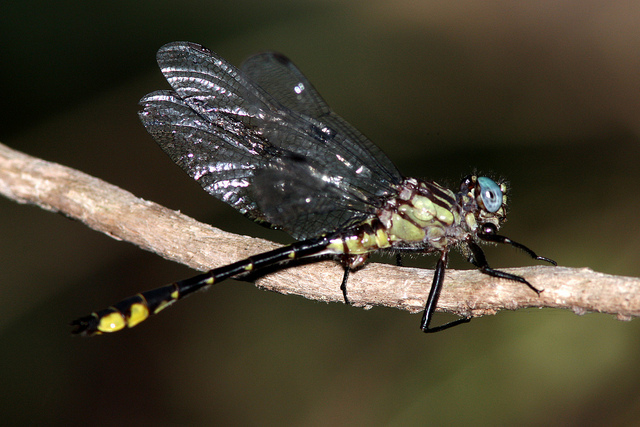 There is a historic (1915) record of this species from Maryland, in Prince George's County, from the Anacostia River (Richard Orr's The Dragonflies and Damselflies of Maryland and the District of Columbia). This actually refers to the holotype specimen for Bertha Currie's species description. Maryland is at the northeastern extreme of its range. As there have been no records for decades, it is currently considered to be extirpated from the state.